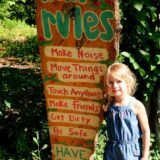 Boxerwood is a Nature Center and Woodland Garden located just outside Lexington, Virginia dedicated to educating and inspiring people of all ages to become successful stewards of the Earth. Each garden visitor experiences something new and amazing in every season. There are as many experiences as there are people to experience them. Please come to sit, stroll, explore, enjoy! Open every day during daylight hours, roughly 8:00 to 5:00. Maps and other information are at the Welcome Kiosk.